Pizza Celebrations with The Rugby Team! Inaugural Girls 7-a-side Football Competition at Flamingoland Stadium on Saturday 21st April 2018. Barrowcliff qualified top of their group of 5 schools, beat Cayton 1-0 in the semi-final and Newby 2-1 in the final. Well done Barrowcliff! Sporting activities have started and we have had a number of fixtures involving boys’ and girls’ football. 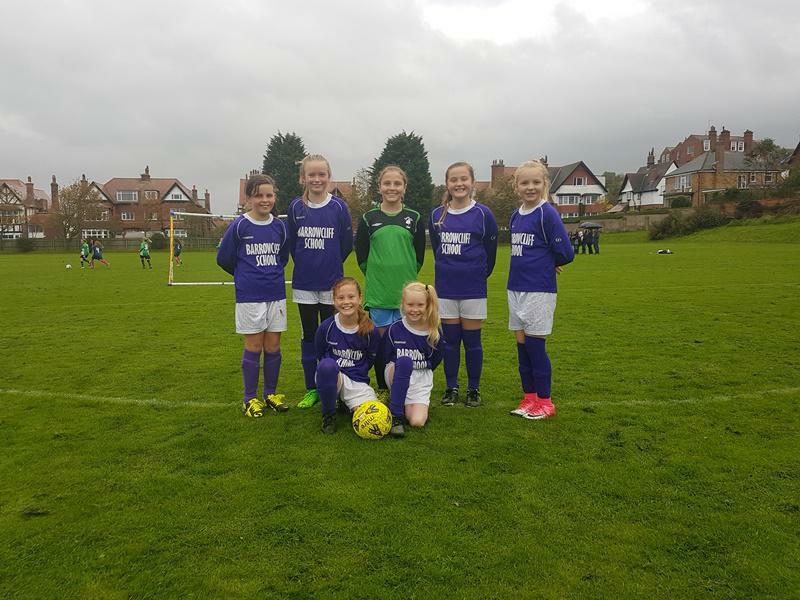 On Wednesday 4.10.17 the girls’ football team took part in a tournament at Bramcote. They played 3 games, winning 2 and losing 1 – a fabulous performance for their first games of the season.